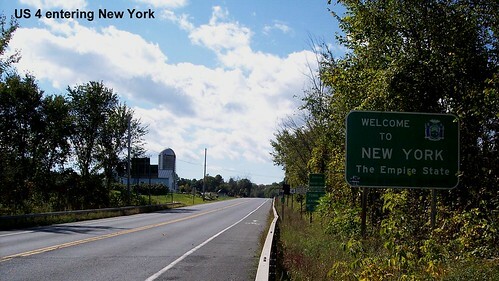 Soon after entering New York, US 4 turns and heads south. 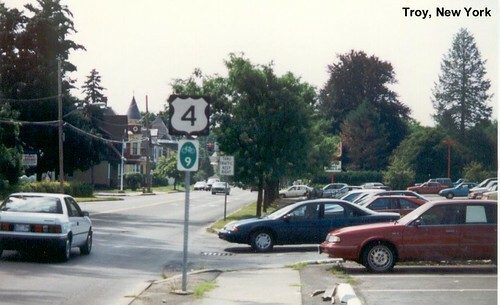 US 4 through Washington County heading toward Whitehall. 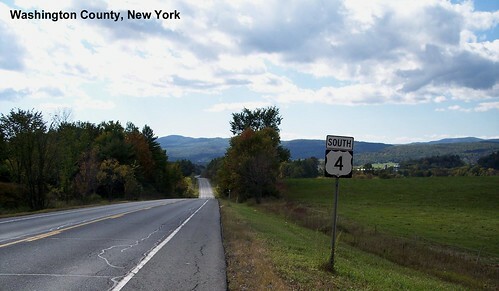 US 4 and NY-22 diverge near Comstock. 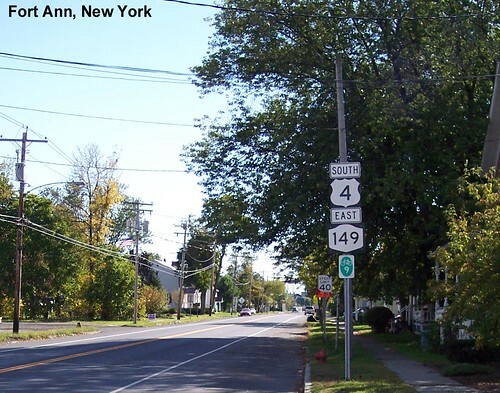 Heading south through Fort Ann. 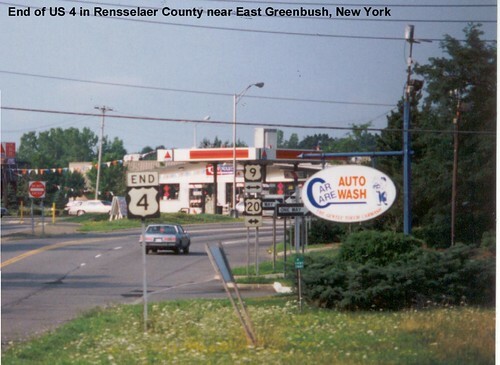 US 4 crosses the Hudson River and arrives in Troy. 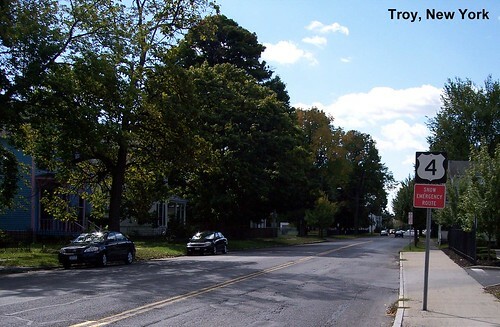 US 4 is a tree-lined street in this section of Troy. 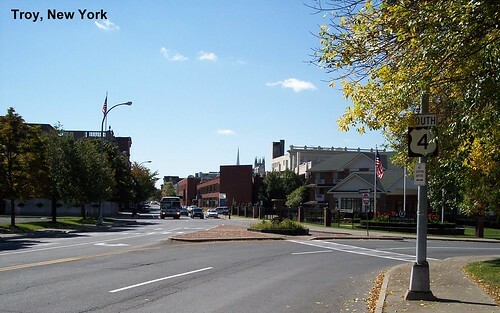 US 4 arrives in downtown Troy. 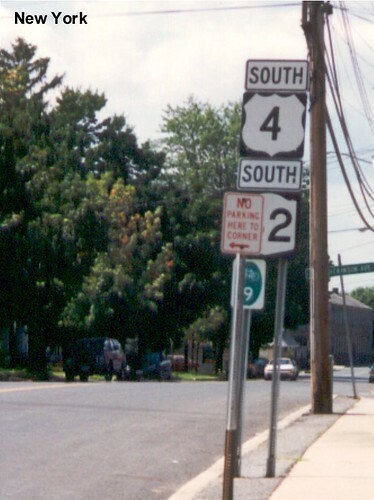 The end of US 4 at US 9 and US 20.